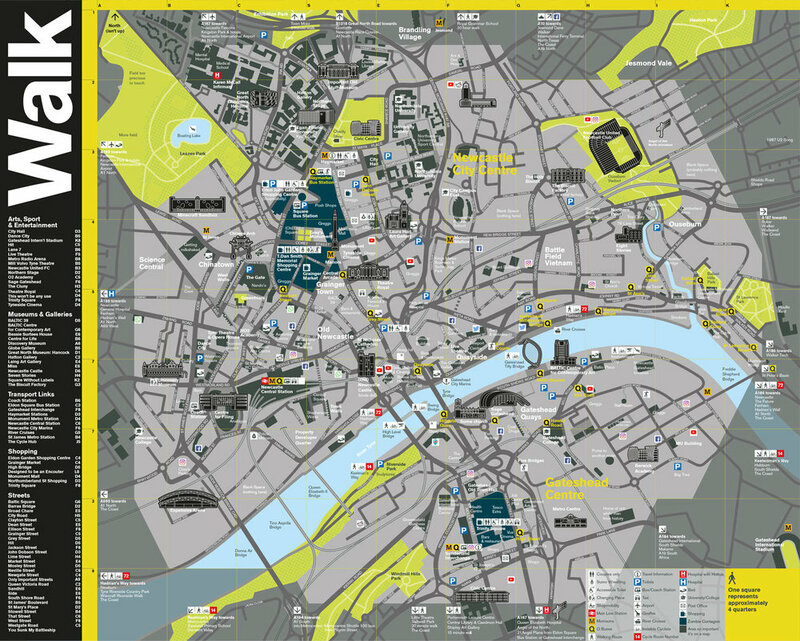 The NewcastleGateshead Initiative produce a map of the city to help visitors navigate. We used it to show a different version. The map is designed as a cartographic encounter. 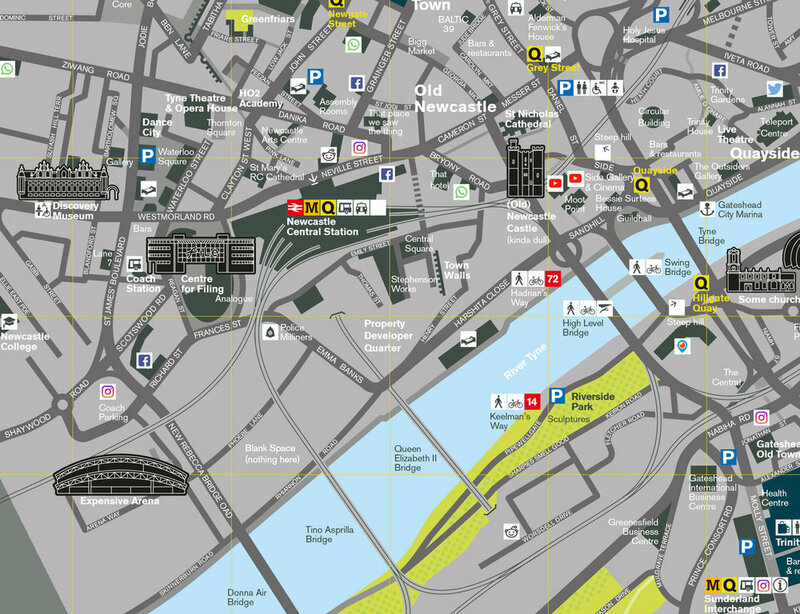 Look closely and not only will you learn what young people told us about their city, but hopefully you'll also understand how map conventions can be used to tell different 'truths' about a place. We've changed a lot of things on the map, which at first sight might appear wrong, but they aren't any more wrong than the original because maps are always partial representations of the areas they purport to depict. The name of roads and bridges have been changed. Roads have been altered to include the names of the participants in the project, bridges have been changed to reflect some legends of Tyneside.